You can trust that your Miami Gardens property will always receive fast and efficient water damage restoration services from 911 Restoration of Miami after a thunderstorm has impacted your home or business. Since Miami Gardens has a tropical monsoon climate, thunderstorms and heavy rainfall are a frequent occurrence. The repair techs understand the importance of providing prompt service in these situations, which is why they guarantee to arrive within 45 minutes of receiving your call. The flood cleanup team is on call 24/7/365, making it possible for you to obtain around the clock water extraction services whether your property has become flooded by a storm or experienced a ceiling leak. If the summer humidity sparks a mold infestation in your home or business, you can also rely on our experts to implement mold decontamination services that will thoroughly remove all signs of fungi growth. 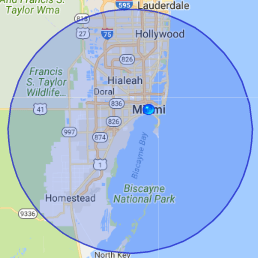 The team here at 911 Restoration of Miami is licensed, bonded, and insured, so you can have peace of mind knowing that our entire operation is protected for your benefit. The technicians care and understand your needs, and they will always make themselves available to answer your questions and calm your concerns. When you need emergency storm repairs in Miami Gardens, call the water mitigation company you know you can trust and our highly trained technicians will give you the Fresh Start you deserve. Owning a home or business in Miami Gardens requires a lot of maintenance to prevent the rainfall and humidity from causing water damage and mold in your property. Sometimes property owners need help with that maintenance work, and 911 Restoration of Miami is the company you can trust to provide you with water damage restoration and mold decontamination services. When water damages your property, it is imperative to seek out prompt service to limit your losses and prevent mold growth. To save you time and money, the repair techs offer same-day services for all flood and leak emergencies. 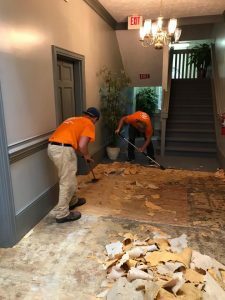 If the flood damage is severe enough to require that your property is cleared out to complete the water damage restoration, the technicians will provide the emergency pack-out and storage procedures. Cleaning flood damage from residential and commercial properties is our specialty. So, call 911 Restoration of Miami when a storm affects your home or business, and we will start the repair process by providing property owners with a free visual inspection. 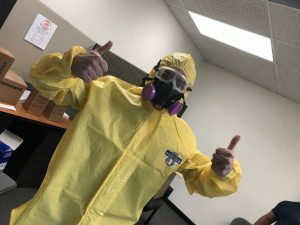 We have the experience to offer property owners comprehensive services that blend mold decontamination and water damage restoration techniques that ensure both issues will be resolved simultaneously. It is common that in the event of a water leak mold can start growing within 24 hours. To make sure that the mold infestation does not reoccur, it is necessary to also address the source of the water damage. 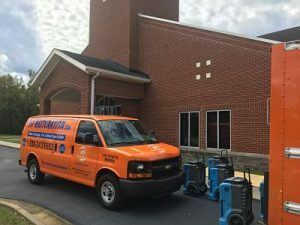 By providing complete water extraction, drying, and dehumidifying services we can remove the water, repair any damaged structures, and implement preventative measures that will allow everyone to breathe confidently after we leave. Repair techs will also treat the contaminated areas with sanitizing chemicals that kill all microorganisms, ensuring that the mold decontamination procedures are successfully implemented. On top of the restoration work, we will restore your property and your confidence. The goal is to make it seem like a mold infestation never occurred. If you live in Miami Gardens and require a team that can handle the water damage restoration and mold removal work, call 911 Restoration of Miami today!